For the second year running, the group that manages and markets the Eurail Pass has been named the year’s best Sustainable Travel Provider. This prestigious label is awarded by the New European Economy Awards, which recognizes excellence, achievements and best practices in the international finance and commerce milieu. The Eurail Group G.I.E. manages and markets the Eurail Pass on behalf of its member railways and shipping companies. The Group aims to educate both business and leisure travelers about the advantages of traveling by train in Europe. With more than 225 thousand miles of track in today’s railway network covered by Eurail’s participants, European rail travel offers a safe, fast and environmentally responsible alternative to airplanes and cars. The Eurail Group notes that many of today’s high-speed European trains are equipped with wireless internet and offer fixed table reservations. 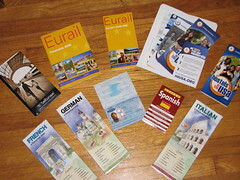 Eurail Pass business travelers often arrive at their final destination feeling more relaxed, refreshed and ready to face their clients and associates. “We hope more business-orientated travelers will consider the advantages of Eurail Pass travel” says Ana Dias e Seixas, Eurail Group’s marketing director.